Over the years, Elite personnel have been busy with their small diameter relining program. 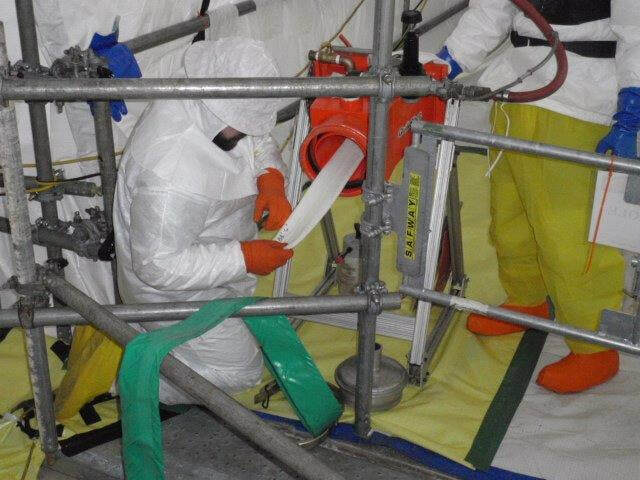 Relining projects range from 2” to 6” on sensitive lines within the nuclear industry. Some of the different processes that were used included a “Dry Method” and a “Wet Method” type cleaning style. 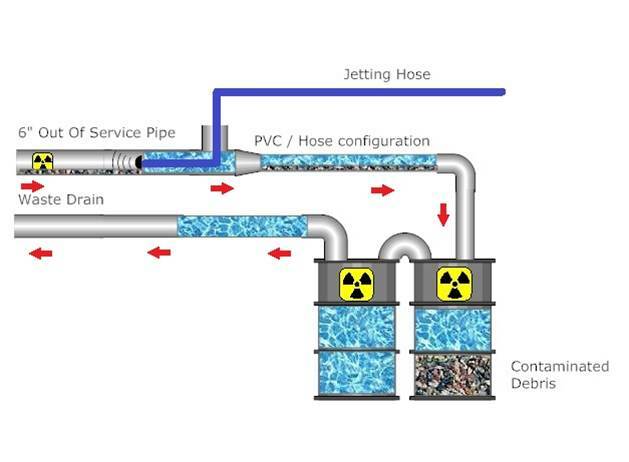 A “Dry Method” style is typically used for buried piping systems that are or could be contaminated, for example, Tritium sensitive areas. No water is introduced to the system for cleaning and unblocking of lines before rehabilitation. A “Wet Method” style is where we use water ranging from many pressures to clean sensitive or contaminated pipelines by containing all debris and contaminates before relining. One example of our configuration that is used is shown below. Many of our configuration pieces are manufactured prior to any project that is about to take place. Please Contact Us For project inquiries or questions.